Stratos Energy tablets are produced from the highest quality Sativa strain-type THC to deliver a clear headed, energetic mental high. When you need a little boost, without the crash, take a lift to that perfect place. The only active ingredient in each tablet is cannabis oil. 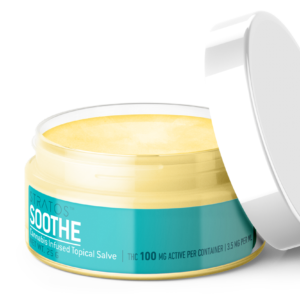 The effects are derived using whole plant, strain-type specific CO2 oil extraction. 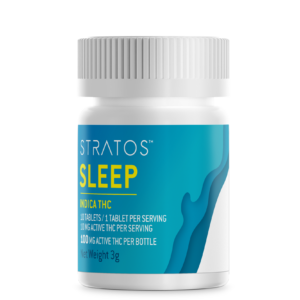 Stratos tablets are formulated to maximize the absorption of the cannabinoids into the body quickly and effectively. On average, the user’s experience is felt within thirty minutes, and often lasts between six and eight hours. Available in medical bottles of 100mg, 300mg, and 500mg. Available in recreational bottles of 75mg and 100mg. If you live in a state where you can’t access our Stratos THC products, please visit Stratos CBD to purchase hemp derived CBD products online and have your order shipped to your doorstep. 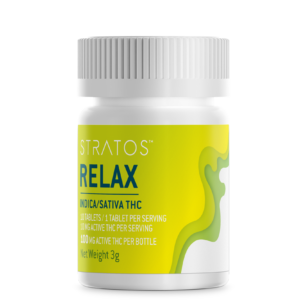 Stratos THC products are not available for online purchase. They can be purchased through licensed dispensaries in Colorado. Please visit our Store Locator to find a store near you.